Produce and consume your own energy individually. Electrical self-consumption is the individual production of electricity for personal consumption using photovoltaic solar energy. The consumer produces electricity consumed in his home or business. 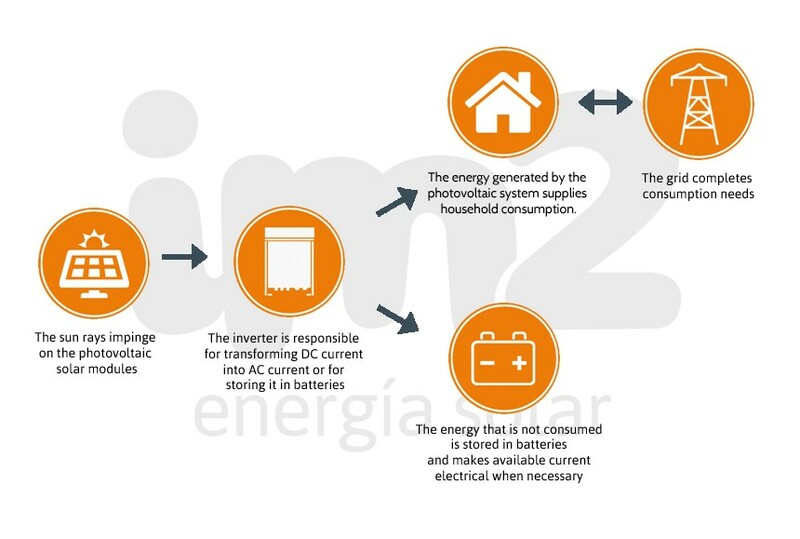 The surplus energy that has not been consumed can be sold to the electricity wholesale market, generating extra incomes, or stored in batteries to provide electric current when needed.